legislation | TaxConnections is a where to find leading tax experts and tax resources worldwide. New Online Sales Tax Legislation: Why Is It Interesting? How Exactly Does The Meadow Bill Repeal FATCA? Last week, we discussed various multi-state tax issues software companies often overlook. This week we look at another industry that often misses sales and use tax ramifications on their sales: Software-as-a-Service (SaaS). Many think that because it’s not a tangible product or even clearly defined as a service (at least according to traditional definitions), these companies don’t need to worry about state sales tax. Keep reading to find out why this could be a costly mistake. TaxConnections invites each of you to participate in an important journey! A journey that will engage you in the making of new tax laws in the United States Committee on Ways and Means! 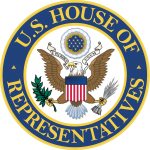 The Committee on Ways And Means is the chief tax-writing committee of the United States House of Representatives and all bills regarding taxation must go through this committee. As a forward to this Special Article, I want to tell you it has been written by our new TaxConnections Member Tom Kerester. Tom has extensive experience on Capitol Hill in the United States Congress as a Legislative Attorney on the staff of the Joint Committee on Taxation (that served five committees of the Congress) and on the House Committee on Ways and Means. As a Former Executive Director of Tax Executives Institute (1985-1992) in Washington, D.C., Tom then went on to a Presidential Appointment with Senate Confirmation under the Administration of George H.W. Bush as Chief Counsel for Advocacy of the United States Small Business Administration and in the Congressional Office of Congressman Bill Thomas (CA). Tom also was the 1st President of the Capitol Hill Chapter of the Federal Bar Association whose members included over 300 Attorneys working on the Hill, and now has over 13,000 lawyer members worldwide.